In the dystopian year of 2023 in New York City, the world was being ravaged by constant war. Central Park had been turned into a prison camp with mutants under Sentinel guard. Mutants were being hunted and exterminated by the robotic Sentinels, and the remaining humans experimented upon them to exploit their abilities. Mutants were on the brink of extinction, and the entire human race was also threatened by the apocalyptic conditions. The future - a dark, desolate world. A world of war, suffering, loss on both sides. Mutants and the humans who dared to help them. Fighting an enemy we cannot defeat. Are we destined down this path? Destined to destroy ourselves like so many species before us? Or can we evolve fast enough to change ourselves, change our fate? Is the future truly set? As the giant robotic Sentinels entered into their underground hideout, the mutants were attacked. 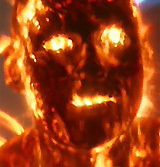 Sunspot fired at one of the Sentinels with his flames, but they were deflected. The robots were discovered to have the ability to replicate the ability of another mutant, named Mystique, to mimic, imitate and shape-shift into humanoids and other forms - the invincible Sentinels had effectively counter-adopted the mutants' abilities. Blink aided Iceman's escape by creating a portal for him, and to help defend Kitty/Shadowcat and Bishop, who rushed to flee (into a safe room behind a vault door) in order to change the circumstances, by sending Bishop's consciousness back into the past. Meanwhile, a Sentinel strangled Sunspot and broke his neck, while Colossus' head was smashed, and Iceman had his head frozen, decapitated and crushed. Buying time for Bishop, Blink was skewered and Warpath (while making a last stand in front of the vault door) was vaporized by a blast of fire. One of the Sentinels began to melt through the vault door, to shoot an energy beam toward Bishop and Kitty. As the robots entered, Kitty warned them at the last possible moment: "Too late, assholes! ", and everything slowed in time and faded away as if nothing had happened -- Kitty had successfully sent Bishop back in time (to a few days before the attack) to alter the time-line, warn them of the attack, and save them. Bishop was able to alert the other mutants of the Sentinel attack beforehand so that they could escape - a commonly-used defensive mutant tactic. 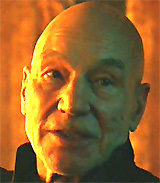 In another area of the world, the leader of the X-Men mutants, telepathic Charles Xavier/Professor X (Patrick Stewart), was searching for other mutants. He was piloting a new and highly advanced version of the X-Jet - an aircraft capable of supersonic flight (at speeds faster than any Sentinel). 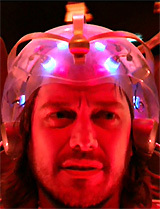 Charles' mutant-detecting device, known as Cerebro, was structured as a built-in extension of his hover chair, composed of a helmet, sensor pads and a 3D holographic projector. Below the plane, he viewed countless mutants being killed by Sentinels or tortured by humans - and he heard the sounds of their screams and cries. Charles announced: "I've found them." 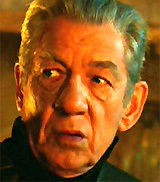 As the jet flew over a mountain range in China, the mutants were located hiding in a remote Chinese monastery-temple. The plane's passengers greeted the group of mutants that had appeared to die, but then disappeared - and survived! 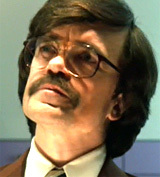 Professor X explained how the Sentinel Program had been created by a military scientist named Dr. Bolivar Trask (Peter Dinklage) of Trask Industries years earlier in 1973. Trask had been covertly experimenting on mutants "using their gifts to fuel his own research." He created Sentinels, or mutant-hunting robots, with mutant DNA integrated into their synthetic bodies so that they could mimic some of the mutants' powers, such as physical transformation. They were also capable of projecting damaging plasma rays from their faces. Basically, your body will go to sleep while your mind travels back in time. As long as you're back there, past and present will continue to co-exist. But once you wake up, whatever you've done will take hold and become history. And for the rest of us, it'll be the only history that we know. It will be like the last 50 years never happened. And this world, and this war... The only person who will remember it is you. All right, Logan, I need you to clear your head and to stay as calm as possible. Transported back to the year 1973, Logan awoke in New York City after time-travel as a younger man. He was in a water bed (next to a green lava lamp) with a female named Gwen (Jan Gerste) draped next to him, and a Roberta Flack hit playing on the radio. When assaulted by three thugs (with weapons) sent by Gwen's father - a mafia boss, Logan transformed into the Wolverine and killed them with his claws, and then stole their car parked outside. Meanwhile in Washington, DC, Dr. Bolivar Trask was in Congress seeking financial support for his Sentinel Program to combat the mutants among them, but he was denied funding. 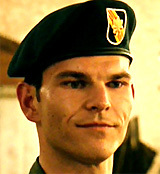 Suddenly, a higher-ranking, anti-mutant officer named Major William Stryker (Josh Helman) arrived and intervened by countering Sanders' orders. He ordered the mutants to be transferred to a "private facility" in order to run more tests on them (presumably to exterminate them) after injecting them with an unknown substance - to "make the ride a little smoother." 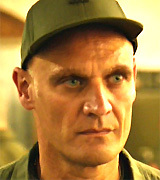 The shape-shifting Mystique (revealed to be disguised as Sanders) engaged Stryker in hand-to-hand combat to free the mutants, who aided with their special abilities to subdue other military personnel. 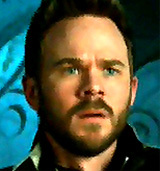 Major Stryker was knocked unconscious by a plasma blast from Havok's right hand, and the group of mutants was successfully evacuated by plane before Stryker could block their escape. After arriving at the Westchester (NY) Xavier's School by car, Logan found its front gate dilapidated from disuse. The educational facility for gifted youngsters appeared shut down, closed to visitors and deserted. 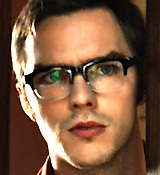 At the door of the X-Mansion, he met Dr. Henry "Hank" McCoy/Beast (Nicholas Hoult) in his human form, who said he was the housekeeper. 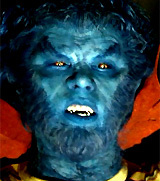 Hank transformed into Beast when confronted by Logan barging in. 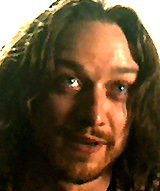 Their fight was broken up by a younger, long-haired Professor X - Charles Xavier (James McAvoy) lacking his telepathic powers. Logan was astonished that Charles was able to walk down the stairs (Logan knew him as a wheelchair user, after being paralyzed with a bullet in his spine). Logan described how he was sent by Charles' own self 50 years into the future, to ask his assistance to stop Mystique/Raven. He also quickly told Charles how mutants were being exterminated by Sentinels created with newfound DNA mutant powers. Logan realized that Charles had become drunken, despondent, and broken due to the loss of his mutant students and friends, including Erik and his love interest Raven, and others who had been drafted into the Vietnam War. To help Charles' retreat from life, Hank explained that both of them were using a special drug serum that he had developed, to suppress or control their mutant abilities. The injected serum cured Charles' spinal paralysis and partially improved his mood although he had become addicted to the serum. He was able to walk, but had sacrificed his powerful ability to read and control minds. Logan then learned that Charles' loathsome enemy Erik Lehnsherr/Magneto at the time was "where he belongs" - "a monster, a murderer" - imprisoned in a pure concrete-lined, heavily-guarded prison cell, 100 floors underground at the Pentagon. 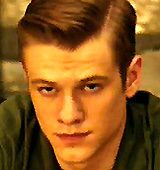 Charles reluctantly agreed to assist Logan, but only for Raven's sake, to break Erik out. Erik had been charged with the alleged crime of assassinating President John F. Kennedy ten years earlier (with a curved bullet: "Erik always had a way with guns"). 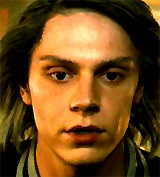 For their prison-break plan, Logan, Hank, and Charles called upon the aid of mutant Quicksilver/Peter Maximoff (Evan Peters) with his fast, super-speedy abilities - he could help them "to get in anywhere." Meanwhile, Mystique (disguised as her own enemy -- Dr. Bolivar Trask) entered Trask's personal office, read some super-secret files in an autopsy report confirming Trask's deadly mutant experiments (as she shed a tear), and learned that Trask would soon be attending the Paris Peace Accords. In Washington DC at the Defense Department's Pentagon, the foursome entered the facility as Hank caused interference with the monitor-surveillance equipment. Taking the place of a uniformed guard bringing food to Erik's/Magneto's prison cell, Quicksilver vibrated the cell's glass ceiling with the palms of his hands until it shattered. Then with Quicksilver's ultra-speed, armed guards were knocked out during the escape. In an elevator during flight, it was implied that Erik was Quicksilver's father (Quicksilver: "My mom once knew a guy who could do that (control metal)"). In slow-motion to the tune of Jim Croce's Time in a Bottle, Quicksilver rearranged the elements of a potentially-deadly confrontation in the Pentagon kitchen to avoid injury to everyone. On board a plane enroute toward Paris, a violent argument ensued between long-time rivals Charles and Erik over their abandonment of each other, Charles' loss of Raven/Mystique, and the subsequent deaths of many mutant brothers and sisters by Trask, including Angel, Azazel, Emma Frost and Banshee. As they continued to talk about how things had evolved, Erik claimed that he was only trying to save JFK (a fellow mutant - "he was one of us"), not kill him ("the bullet curved"). Eventually, the two apologized to each other about what had happened in the previous ten years, and began to play an amiable game of chess. At the same time after arriving in Paris, Mystique seduced a North Vietnamese Army General and killed him in his hotel room, in order to impersonate him the next day during the Paris Peace Accords, where she could facilitate her assassination of Trask. During the proceedings an hour before the official Summit talks were to begin, Trask was delivering a presentation in a private hotel conference room, arguing that mutants were a "new enemy" - a real threat to all of humanity. He spoke about how the robotic Sentinels were an "entirely new weapon" to combat the enemy. They had the special "ability to target the mutant X-gene" with a "genetic guidance system that can lock onto a mark a half a mile away." He promised "no human collateral damage." When he demonstrated his mutant-gene sensor with a hand-held mutant detector, Mystique's cover (disguised as the Vietnamese General) was blown in the room when an alarm sounded. 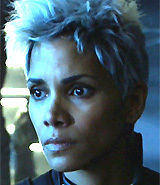 Mystique was prevented from shooting Trask to death by Logan, Charles, Erik and Hank, who suddenly entered the room. Erik was about to shoot Mystique dead ("securing our future") - to change the apocalyptic future (and end the Sentinel Program), because her DNA would lead to the creation of the Sentinels: "As long as you're out there, we'll never be safe." At the same time, Logan suddenly began to suffer traumatic flashbacks and violent shaking upon seeing Major Stryker in the room (Stryker was also struck by a deflected taser beam and violently convulsed on the floor). 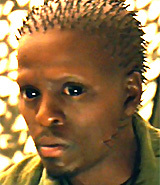 Logan recalled the painful experiments conducted on him by Stryker during the Weapon X Program. 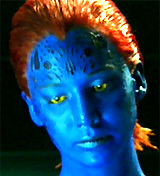 Mystique was shot in the leg during her frantic leap through a window by a bullet guided by Erik from his gun. Logan's flashbacks momentarily disrupted his time-travel link from the year 2023, and he began stabbing at Kitty/Shadowcat and seriously wounded her with his adamantium claws until restrained. Upon his return to the earlier year of 1973, Wolverine momentarily experienced confusion about his mission, why he was in Paris, and the identities of both young Charles Xavier and Hank/Beast. Outside, press cameras and the public witnessed Mystique's wounding as she tried to hide her mutant nature by converting herself into a female African-American bystander with an Afro. Erik pursued after her via levitation, extracted the bullet from her leg, and was going to use it to kill her, but Hank (now transformed into Beast) intervened, started to strangle Erik under water in a nearby fountain, and prevented her death. Unfortunately for the mutants, members of the media recorded everything on camera. Both Erik and Mystique were somehow able to separately escape. 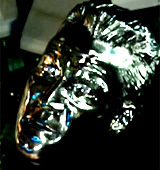 Once the mutants had been revealed to the world through video footage, Trask used people's fears of mutants to influence President Richard Nixon (Mark Camacho) in the White House's Oval Office to support his experimental Sentinel Program to create "giant metal robots." It was agreed that an initial unveiling and demonstration of the capabilities of the first eight prototypical Sentinels (made of a "space-age polymer, not an ounce of metal on them") would soon occur in an elaborate press conference ceremony on the White House lawn in Washington DC. A television clip revealed that some of Mystique's blood from her leg wound had spilled onto the pavement, and had been undoubtedly retrieved by Trask - her DNA would be used to clone her tranformative mutant-gene. After seeking medical care for the bullet wound in her leg, Raven/Mystique confronted Erik in a Paris Metro station, angrily threatened to stab him in the neck, and asked why he had tried to kill her. He explained that because he had received a message from the future, he was only trying to save the mutants ("Humans use your blood, your genes, to create a weapon that wipes us all out...They have your DNA. Your blood was on the street...I've seen their plans. They're creating a weapon, and now they have what they need to take it further"). 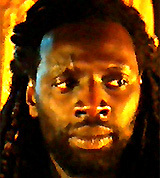 Then, he asked her point-blank about her true affiliation: "Are you still Charles' Raven? Or are you Mystique?" 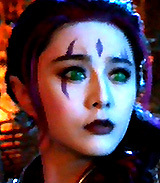 She simply replied: "Trask is the enemy" - and instantly disappeared. A showdown appeared to be brewing between Erik and Charles Xavier with their conflicting mutant personas as Magneto and Professor X. At the X-Mansion, after some convincing arguments by Wolverine, Charles decided to stop taking his regular doses of serum, in order to regain his mutant telepathic powers as Professor X and locate Mystique (to prevent her from killing Trask). At a laboratory at Trask Industries, the sample of Mystique's blood from the pavement was analyzed, and Trask subsequently ordered Major Stryker to capture Mystique - to harvest even more of her DNA material, including her brain tissue, spinal fluid, and bone marrow. 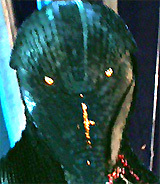 Trask expressed his admiration for mutants as a way to unite the human race: "I see mutants as our salvation...A common struggle against the ultimate enemy. Extinction. I believe our new friends are going to help us usher in a new era, Bill. A new era of genuine and long-lasting peace." Back in the sub-basement of the X-Mansion, Charles (in a wheelchair after ending his serum injections and now unable to walk again) was brought toward Cerebro, to use it to amplify his telepathic abilities and to help him locate Mystique. After donning Cerebro's helmet, he heard the suffering and pain of mutants worldwide, and tore off the helmet. Feeling helpless and broken, Charles had to be convinced by Logan to continue. He telepathically communicated (through Wolverine's mind link) with his future self (an older Professor X) to give him new hope and to inspire him to protect the plight of mutants. Recommencing his search, Charles located Mystique at the Paris airport about to board a plane to DC (for the ceremonial unveiling of the Sentinels), but he was unable to convince her to end her objective to assassinate Trask ("He's murdered too many of us"). His pleas to have her return home were staunchly rejected. Meanwhile, Erik watched as the first group of Mark I Sentinels was bound for DC on a freight train. [Note: Earlier, he had studied the design schematics of the Sentinels, built out of space-age, non-metallic polymer to make them immune to his mutant powers.] He hovered in the air, boarded the train, lifted and broke apart the steel-metal rails behind the moving train, and infused the eight Sentinel robots in the freight cars with metal bars - in order to control them. "There's a theory in quantum physics that time is immutable. It's like a river. You can throw a pebble into it and create a ripple, but the current always corrects itself. No matter what you do, the river just keeps flowing in the same direction." He took the helmet to transform himself into Magneto - it would be used to block out the interference from Charles' psychic powers. Back in the future year of 2023, time was running out. The mutants in the Chinese monastery (Storm, Bishop, Colossus, Warpath, Sunspot, Iceman, and Blink) were located by 12 inbound carriers (about 10 miles away) (sensed by Warpath), and a murderous assault was imminent by dozens of flying Sentinels, although the mutants were prepared for a valiant defense (Storm manipulated the weather to delay their arrival with lightning bolts, as Magneto steered the carriers away). Guarded in an inside area were an unconscious Wolverine (in time-travel), Magneto, Professor X, and Kitty. Circumstances became dire as one by one, the mutants defending the inner compound were wounded and/or killed. In Washington DC in 1973, the well-publicized press conference was being held on the White House lawn led by President Nixon, to unveil eight new Sentinels ("My fellow Americans. 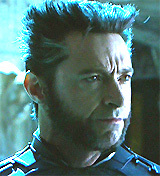 Today we face the gravest threat in our history - mutants"). Professor X, Hank, and the Wolverine sought to locate Mystique in their audience, who was disguised as a Secret Service agent. In another part of the city, Magneto (with his tremendous powers) lifted the entire Robert F. Kennedy Memorial Stadium and transported it to the White House area. Magneto activated the eight now-unveiled Sentinels - obviously under his control with implanted metal - who began firing on police cars. At the same time, Charles had located Mystique/Raven in the crowd, frozen her in place, and telepathically urged her to give up ("Don't do this!"). 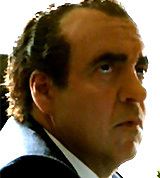 Chaos broke out, as President Nixon, Trask, Major Stryker and other VIPs were whisked away to a safe and secure underground bunker area under the White House - with Mystique closely in pursuit of them. Nixon was furious with Trask who kept reassuring him: "I will fix it." To prevent escape, Magneto enveloped and surrounded the entire White House area with the stadium. Seven Sentinels were posted around the stadium's perimeter, while Magneto specifically instructed the remaining Sentinel to help him eliminate Logan and Hank - now transformed into the Beast. During the massive struggle, Wolverine was stabbed multiple times by Magneto wielding sections of reinforced steel rebar, and was then propelled into the Potomac River - to apparently drown. Hank was tossed into the back window of a crashed police car, and Charles was incapacitated by debris. You built these weapons to destroy us. Why? Because you are afraid of our gifts. Because we are different. Humanity has always feared that which is different. Well, I'm here to tell you, to tell the world, you are right to fear us! We are the future! We are the ones who will inherit this earth! And anyone who stands in our way will suffer the same fate as these men you see before you! Today was meant to be a display of your power. Instead, I give you a glimpse of the devastation my race can unleash upon yours! Let this be a warning to the world. 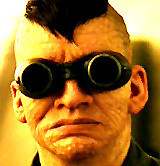 And to my mutant brothers and sisters out there, I say this: no more hiding. No more suffering. You have lived in the shadows in shame and fear for too long. Come out. Join me. Fight together in a brotherhood of our kind! A new tomorrow, that starts today! The Beast injected himself with his serum to revert back to his human form as Hank McCoy, to successfully avoid being attacked by one of the Sentinels. Mystique (now disguised as President Nixon) confronted a distracted Magneto with a plastic, metal-less gun, as the two of them were both threatened by one of the robotic Sentinels. 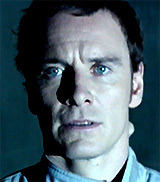 Magneto tore apart the Sentinel, but Mystique was able to fire her gun at him and non-fatally graze him in the neck. Then, Mystique turned her attention back to assassinating Bolivar Trask. 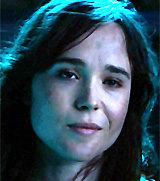 Telepathically, Charles communicated with her, and ultimately convinced her to not kill Trask, although she was very reluctant because of the cruel things he had done to the mutants. The fact that she dropped her gun to the ground and didn't kill Trask meant that history would be altered. Just before the Sentinels were about to kill the last remaining mutant survivors in 2023, everyone suddenly disappeared. Magneto's helmet was removed to weaken him further, after which Professor X released control of Erik/Magneto, who levitated away from the area. Logan woke up in the X-School mansion in 2023, a bit disoriented, but slowly realizing that all of the supposedly dead mutants had survived and that their time-travel plan had worked. 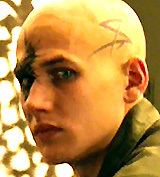 In the hallways, he was pleased and surprised to see Iceman/Bobby Drake with Rogue/Marie (Anna Paquin), Kitty, Beast, Storm - and then Jean Grey (Famke Janssen) with Cyclops/Scott Summers (James Marsden). Logan also spoke with Charles in his office - and they agreed that Logan had a lot to remember about what had happened between 1973 and 2023, and that both of them had "a lot of catching up to do." The past: a new and uncertain world. A world of endless possibilities and infinite outcomes. Countless choices define our fate: each choice, each moment, a ripple in the river of time. Enough ripples, and you change the tide. For the future is never truly set. 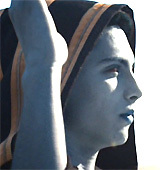 An Egyptian crowd was chanting (in a foreign language) and bowing to a hooded figure wearing a striped robe - a bluish, skinny mutant named En Sabah Nur (aka Apocalypse, the very first mutant) (Brendan Pedder), who telekinetically elevated building blocks to forge ancient pyramids, as Apocalypse's minions - the four Horsemen of Apocalypse (Death, Famine, Pestilence, and War), watched on horseback from afar on a sand-dune. Chronologically, the seventh installment in the X-Men film franchise - and serving as a sequel to the last two X-Men films from 2006 and 2011. It was the priciest and most complicated X-Men film to date. The inspiration for the storyline came from the story "Days of Future Past" located in Marvel's 1981 comic book issues: The Uncanny X-Men (# 141 through # 143). The story involved time-travel - the X-Men had to alter the past to save the future (the year 2023) - a dystopia ruled by weaponized robots (known as Sentinels) created by Bolivar Trask and Trask Industries. The Sentinels were hunting and rounding up mutants in camps for extermination, by specifically targeting their mutant X-gene. A distant-future Wolverine consciousness was sent back to the early 1970s by the X-Men (specifically by mutant Kitty Pryde/Shadowcat who could project a person's consciousness back in time). The objective was to prevent war by brokering peace and uniting friends-turned-adversaries Professor X and Magneto, in order to stem the rise of the Sentinels that were causing havoc and wiping out most of humanity. 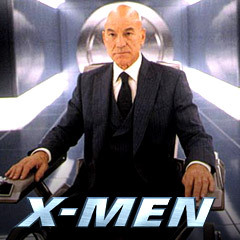 This was director Bryan Singer's third X-Men film, following his helming of the 2000 and 2003 films. With the tagline: "His past. Our future." With a production budget of $200 million, and box-office gross receipts of $233 million (domestic) and $745 million (worldwide). Its Academy Award nomination for Best Visual Effects made it the first X-Men film to be nominated for an Oscar (it lost to Interstellar (2014)). The next film in the series was its sequel: X-Men: Apocalypse (2016), director Bryan Singer's fourth film in the franchise.